There are several ways to deploy a Play application in production mode. Let’s start by using the simplest way, using a local Play installation. Note, different play apps require different configuration in production. The default configuration is setup for apps that are mainly processing requests asynchronously. If your app is executing mainly blocking calls, then it’s recommended to increase the number of available threads and the timeouts. 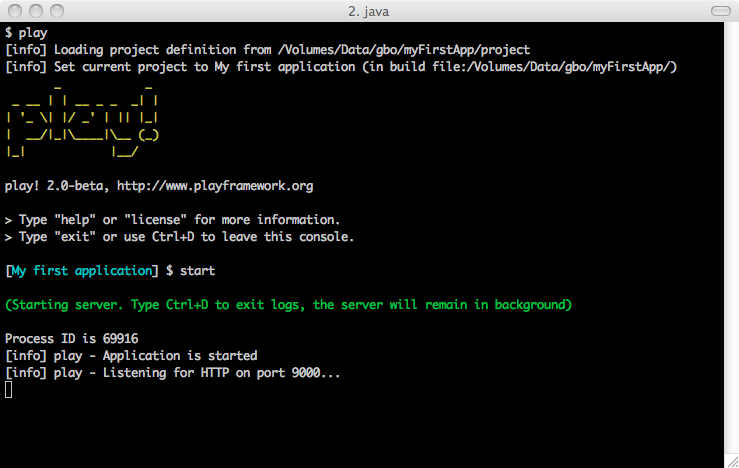 The easiest way to start an application in production mode is to use the start command from the Play console. This requires a Play installation on the server. Note that the run command is only for development mode and should never be used to run an application in production. For each request a complete check is handled by sbt. When you run the start command, Play forks a new JVM and runs the default Netty HTTP server. The standard output stream is redirected to the Play console, so you can monitor its status. The server’s process id is displayed at bootstrap and written to the RUNNING_PID file. To kill a running Play server, it is enough to send a SIGTERM to the process to properly shutdown the application. If you type Ctrl+D, the Play console will quit, but the created server process will continue running in background. The forked JVM’s standard output stream is then closed, and logging can be read from the logs/application.log file. If you type Ctrl+C, you will kill both JVMs: the Play console and the forked Play server. The start command starts the application interactively, which means that human interaction is needed, and Ctrl+D is required to detach the process. This solution is not really convenient for automated deployment. This cleans and compiles your application, retrieves the required dependencies and copies them to the target/universal/stage directory. 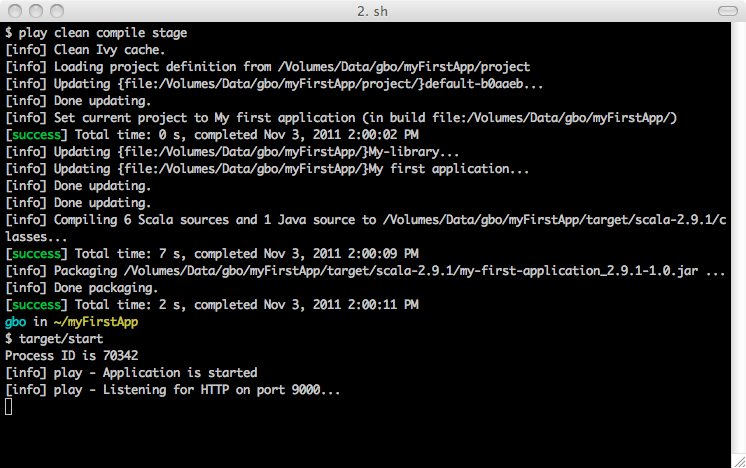 It also creates a bin/<start> script where <start> is the project’s name. The script runs the Play server on Unix style systems and there is also a corresponding bat file for Windows. For a full description of usage invoke the start script with a “-h” option.